Special week: June 8 to 15, offered at $3200, plus cleaning and tax. 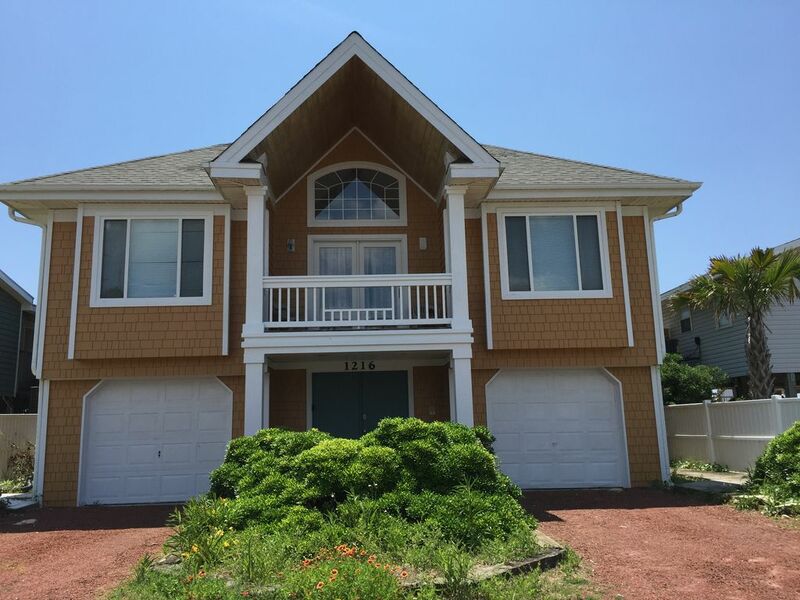 This beautiful, oceanfront house offers 2500 square feet of living space with a large great room, five bedrooms, and three full bathrooms. You will enjoy the sweeping ocean view from the living, dining and kitchen areas. The second floor is occupied by a master bedroom (16 by 33) which has a king-size bed with an ocean-side balcony. The first floor has the second master bedroom with a queen size bed and a private full bathroom. There are additional three bedrooms on the first floor - one with a queen size bed, one with a full size bed, and one with two sets of bunk beds. The 3rd full bathroom is on this floor in the hallway. A fully stocked kitchen has all major and small appliances - microwave oven, electric stove, full size refrigerator, toaster, toaster oven, Keurig coffee maker, regular coffee maker, electric kettle, etc. There are three large LED TVs - one in the living room, one in the master bed room on the second floor, and one in the room with bunker beds. The house has it's own private beach access and is several houses away from the public access. The house is absolutely smoking and pet free. We encourage you to visit our website at topsailvacationrentaldirect dot com for more information. Our payment method is eCheck or check. Please be aware if you book via a credit card, additional 2.9% credit card processing fee will be assessed. By doing so, we keep our price competitive and affordable.